Can you swim well enough to save your life? Both private and semi-private lessons are available for members. This format of swim instruction ensures an individualized quality lesson, as well as an effective and convenient method of scheduling directly with the instructor. Lessons are usually 30 minutes in length, although 60 minute lessons are available. Our water safety instructors are all certified by the American Red Cross and are able to work around your busy schedules. These are available for up to three students with similar swimming ability. Due to scheduling issues, we do not pair members up for semi-private lessons. Download a swim lesson request form. Download a swim lesson agreement form. A great way to get your child started in the water and to prepare them for learning to swim! For children ages 6 months – 3 years and their parents. Next sessions: March 26th and 28th and April 2nd, 4th, 9th and 11th at 10 am on Tuesdays and Thursdays. In addition, the sessions must be purchased in a set of six, and single sessions are not available. Members may complete registration and payment at our Front Desk. For more information please contact 531-5082. Competitive swim class is a program that focuses on conditioning and stroke technique; and is perfect for young swimmers 5-18 years of age who wish to compete in summer swim team or refine their skills, and stay fit during the off season. 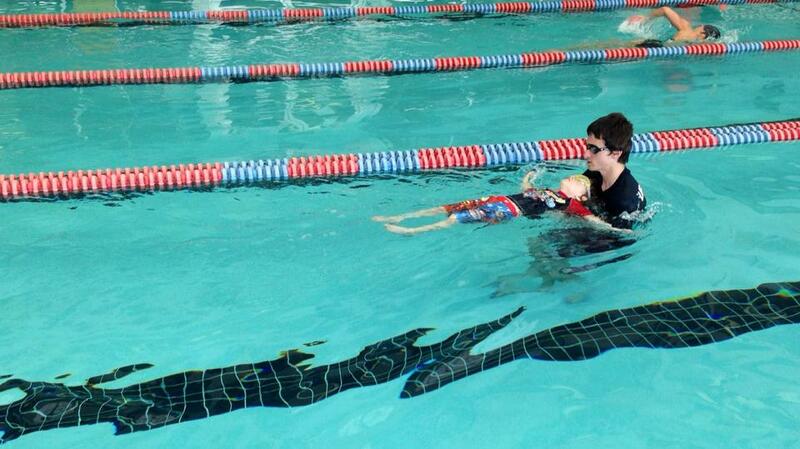 Children need to be able to swim unaided by flotation devices; but do not need to know all the strokes required. They will be placed in levels according to ability. For more information regarding Aquatics Programs, please contact our Aquatics Manager at (865) 531-5082.